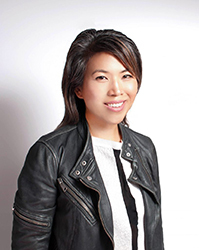 LOS ANGELES — Milani Cosmetics has named Evelyn Wang as chief marketing officer. Most recently Wang served as senior vice president of marketing at wet n wild, where she was credited with enhancing the brand’s relevance to Gen Z and Millennial beauty consumers, which resulted in the brand’s ranking among the top-10 most-Googled beauty brands of 2017. In her role, Wang oversaw all aspects of the brand’s marketing initiatives, including branding, global product development, communications, creative and market research. Wang also played an integral role in increasing wet n wild’s distribution channels both domestically and globally, including the brand’s expansion into ULTA and Boots in 2018, significantly increasing retail sales and dollar sales during her tenure. She has also held senior leadership positions at L’Oréal Paris, Johnson & Johnson and Estée Lauder Cos.
She was awarded the Women’s Wear Daily/Beauty Inc.’s prestigious Brand Builder of the Year award in 2016.